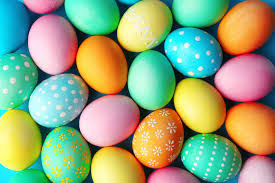 What do brightly colored eggs and bunny rabbits have to do with Easter? What do they have to do with the resurrection of our Lord and Savior Jesus Christ? Consider what you are celebrating this year. Is it the fertility god, or is it our Risen King? In fact, I celebrate His birth and resurrection on the same day!